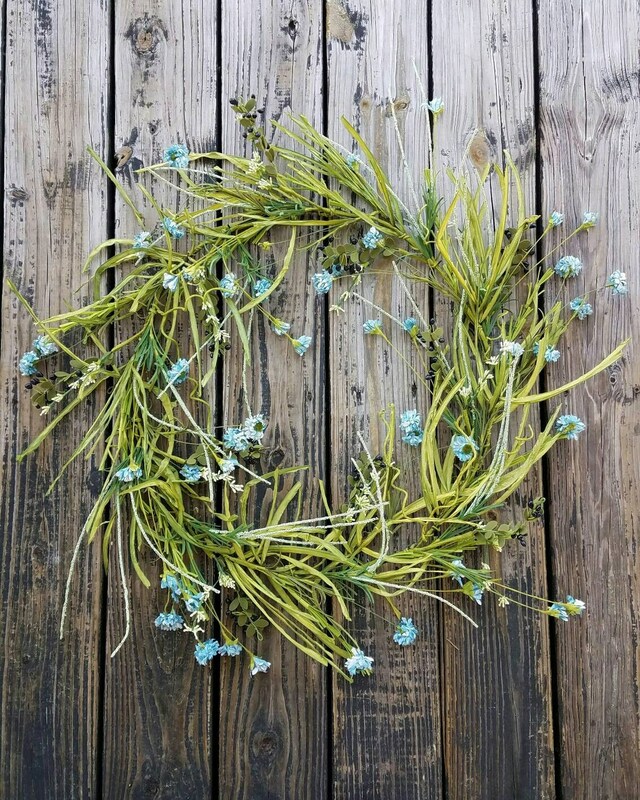 The small yellow and white tissue paper flowers are perfect for this striking wreath. 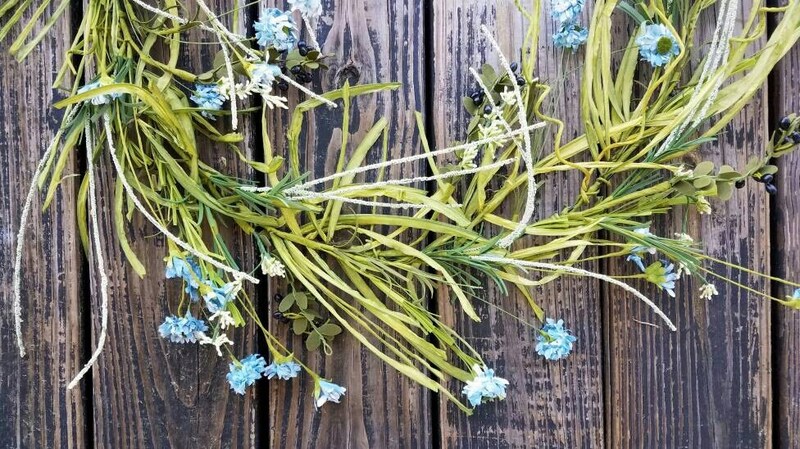 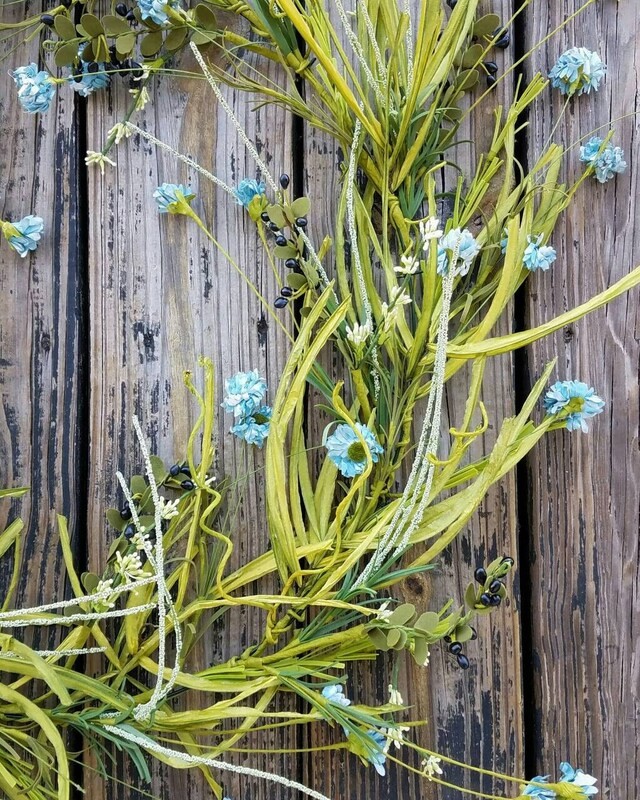 The blue flowers add texture to the long, tissue paper foliage. 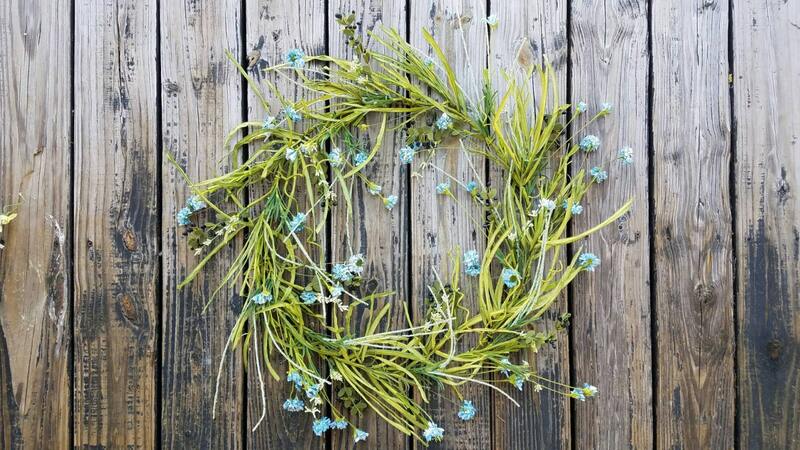 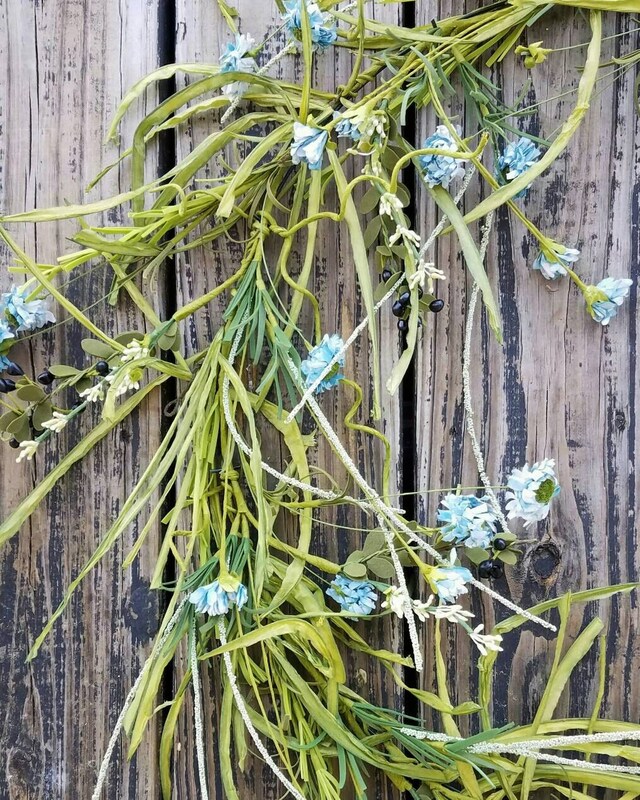 The whimsical feel of this spring wreath is soothing and simple yet elegant.